The resurge of ISIS is taking place against the backdrop of a continuing popular uprising in the south of Iraq. Iraq is once again in turmoil and profiting from the massive unrest in the war-torn country is the Islamic State group (which is on the rise again as a regular terrorist organization) and the Islamic Republic of Iran. ISIS has between 28,600 and 31,600 fighters in Iraq and Syria, according to The Voice of America which cited data released by the US Defense Department. That’s just slightly below the number of fighters the Jihadist organization had at its disposal in 2015 when it was on the height of its power (33,000 men). The US army and its allies in the anti-ISIS coalition claimed at the beginning of 2018 it had killed between 60,000 and 70,000 ISIS members during the three-year-long campaign against the Jihadists, something that was impossible to verify. In Iraq, the Islamic State group currently has 17,000 fighters and they are increasingly disrupting life in the already battered country. 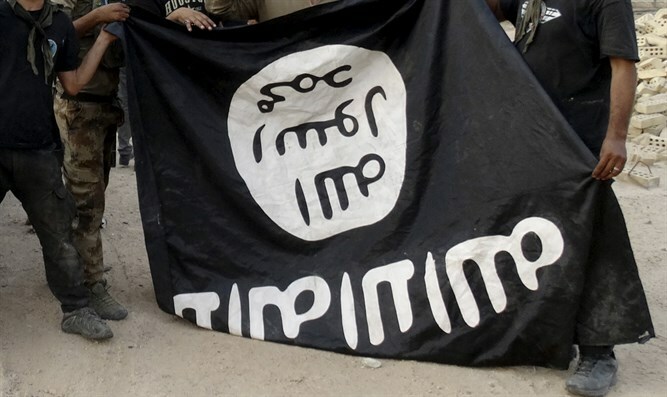 “A wave of kidnappings, assassinations, and bombings attributed to or claimed by the Islamic State in Iraq have stoked fears that the organization, believed to have been largely wiped out over the past year, is making a comeback, “according to a mid-July The Washington Post report. Over the period August 9th – August 14 alone, 84 people were killed at the hands of the Islamic State group or in clashes with the organization, according to the Anti-War blog which keeps track of deadly terrorist attacks in Iraq. On Sunday, for example, ISIS terrorists attacked an Iraqi army position near Al-Daur in the Salah ad Din Governorate and killed five Iraqi soldiers while 14 ISIS terrorists wearing suicide belts also died during the assault. Another ISIS attack on tribal fighters who were guarding a checkpoint in Abu Jawari near Baiji left five men dead while a sixth was wounded. The resurge of ISIS is taking place against the backdrop of a continuing popular uprising in the south of Iraq which started immediately after the parliamentary elections on May 12 this year and which has spread to other parts of the country. Those elections were surprisingly won by firebrand Shiite cleric Muqtada al-Sadr, the former commander of the so-called Mahdi army which fought the United States after the invasion in 2003. The results of the election were immediately contested amid accusations of vote-rigging and led to a decision to recount the ballots. That recount was subsequently frustrated by a fire in a warehouse containing half of the ballots which went up in flames on June 10. On July 14 Iran cut off electricity supply to southern Iraq because of a debt for unpaid electricity supply, causing people to take the streets not only in Basra, Iraq’s largest city in the south of the country but also in Bagdad. After demonstrators broke into the building of the Sadr organization of pro-Iranian politician, Hadi al-Amiri guards opened fire but this didn’t succeed to quell the unrest. The increasingly violent protests are furthermore fuelled by anger about a severe water shortage (just like the ongoing protests in Iran), electricity cuts, widespread corruption and high unemployment. In an attempt to regain control over the situation the Iraqi government then imposed a curfew and cut off internet and social media in the country while Prime Minister Haider al-Abadi, who is heading a caretaker government until the new government comes into office, decided to release $ 2.5 billion to improve water and electricity supply as well as health services in the Basra region. It didn’t stop the violence either and failed to placate the anger among the Iraqi population which is supported by influential Shiite clerics like Grand Ayatollah Ali al-Sistani. To make things even more complicated, Iran - which is working to transform Iraq into another satellite-state - punished al-Abadi by disinviting him for a meeting with the Islamist regime over Iraq’s decision to abide by the re-imposed US sanctions on the Islamic Republic. The Iraqi PM said earlier this week he was opposed to the American decision to re-impose biting sanctions on Iran but had no choice to abide by them. Al-Abadi, who is maintaining good ties with Washington, is hoping to serve another term as PM in Iraq after his party joined the odd coalition of al-Sadr’s Sairoon Alliance and the Iranian-controlled Fatah Alliance which is headed by Hadi al-Amiri but the chances he will stay in office are diminishing rapidly. Al-Amiri is a Shiite extremist whose Badr organization maintains a close relationship with the Iranian Islamist regime and fought on the Iranian side in the Iran-Iraq war in the 1980s. The current unrest in Iraq is therefore good for Iran as well as for ISIS and bad for the United States which is betting on al-Abadi as a counterforce against the Fatah Alliance in the new Iraqi government and declared ISIS defeated at the beginning of 2018.